A Mother’s Journey to Reunite Adopted Romanian Daughter With Her Roots. This story is written by Nina Hindmarsh, Nelson Mail, Newspaper of the Year; Canon Media Awards. May 2017. A family reunited for the first time. 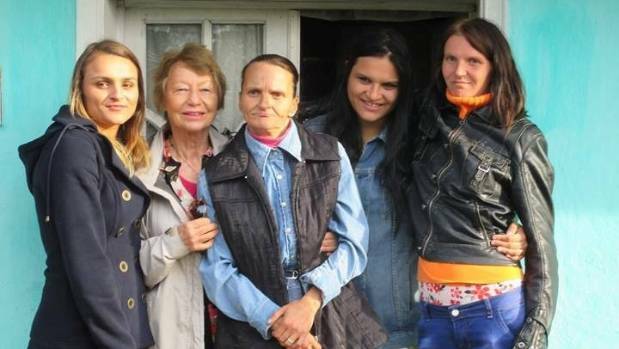 From left: Cristina Graham; Jonquil Graham; Cristina’s birth mother; Cristina’s birth sisters Geanina-Ionela and Maria-Magdalena. A horse pulls a cart down a dirt road. Geese flap their way through the dust. In a small Romanian village on the border of Moldova, 26-year-old Cristina Graham walks apprehensively with her adopted mother, Jonquil Graham. They are there, thousands of kilometres from home, to meet the woman who gave Cristina away 25 years ago. She is small and toothless, waiting with her hands clasped tightly behind her back in front of a barren, cobb house. Next to her on crutches is her husband and Cristina’s older half-sister, Maria-Magdalena. Until now, they have never met. Cristina hugs her birth sister first, then her birth mother. Cristina doesn’t cry, but Cristina’s birth mother sobs as she holds her tightly, swaying her back and forth. She tells Cristina she didn’t have the conditions to care for her, that her violent husband at the time, Cristina’s father, did not like children and that her sister had pushed her to give Cristina up. After that first meeting, Cristina explores the bare neighbourhood of Bivolari that would have been her’s had she stayed in Romania. She didn’t expect to see her birth family living like this. She is beginning to grasp what poverty really means. Her birth family’s health is suffering due to alcoholism. There is no running water in the house, no power, and they bathe from a bucket. It is far from the idyllic childhood Cristina had being raised on a kiwifruit orchard in Golden Bay, among the loving, hustle-and-bustle of a sprawling melting-pot family. 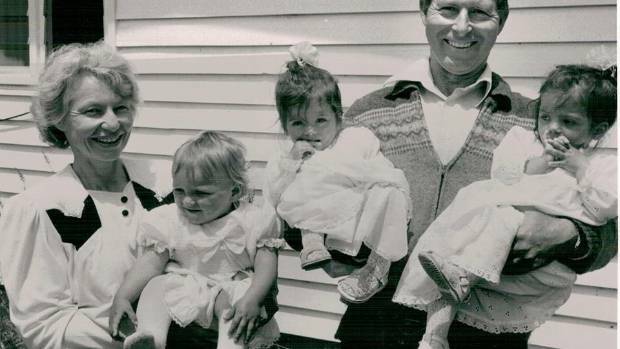 Jonquil and her husband Bryan were one of the first New Zealand couples to attempt inter-country adoption, which included three girls from Romania. Cristina was one of them. Together, the pair have adopted and raised nine children and fostered 20 more. Unable to conceive children, Jonquil and Brian first became “accidental” adoptive parents when a relative could no longer care for their difficult 3-year-old daughter. The Grahams took in the girl, and in the years following nearly 30 more children flooded into their care. Jonquil remembers the putrid scent of boiled cabbage, urine and cleaning products as she entered a room lined with cots. Jonquil and Bryan Graham with their three adopted Romanian daughters. From left; Jonquil with Cristina; Bryan with Natasha and Johanna. In Romania’s orphanages, babies and children were so severely neglected they had learned not to cry, because no one would answer. Jonquil recalls the trip they took with Cristina last year as a part of TV3’s Lost and Found which aired in March. It was there that Cristina was reunited with her roots. 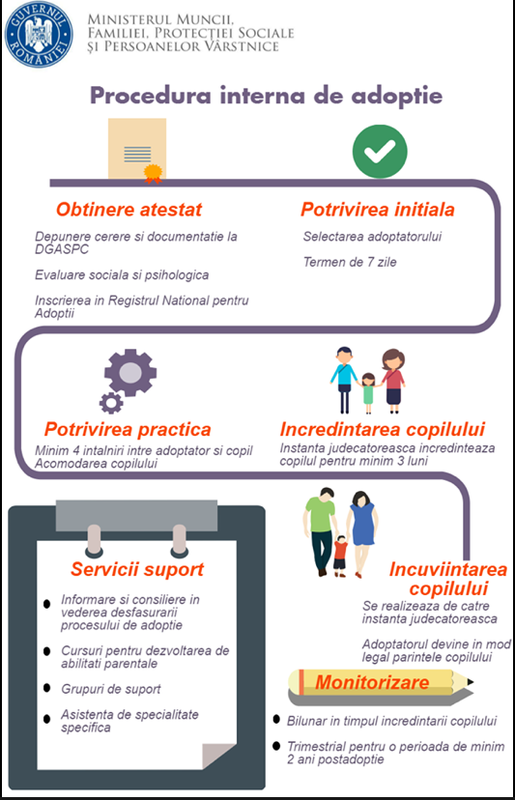 But 25 years ago the process for inter-country adoption was full of unknowns. Bringing baby Cristina home was an arduous journey. “It was an absolute nightmare,” Jonquil says. It was 1989, after the overthrow and execution of Romanian dictator Nicolae Ceausescu, that news began to filter out about a vast human tragedy happening to Romanian children behind closed doors. 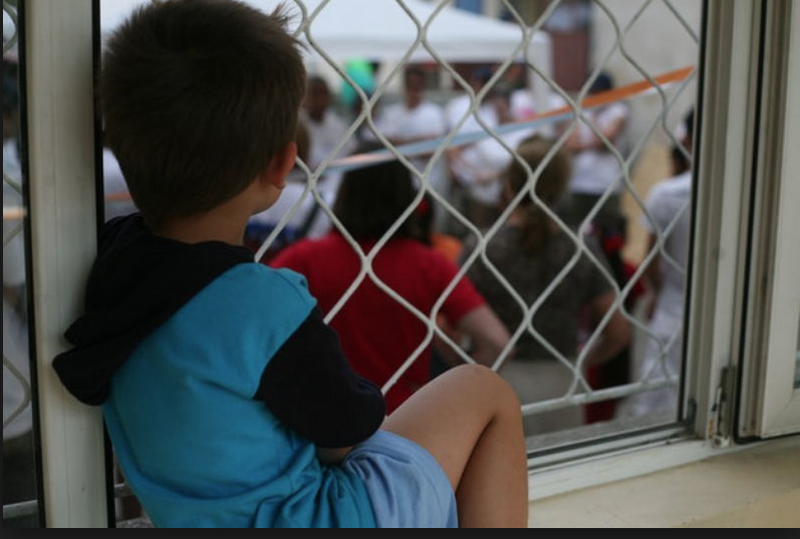 Among the most disturbing were images of tens-of-thousands of abandoned children suffering abuse and neglect in Romania’s orphanages. Confined to cribs, babies lay wallowing in their own filth, their cries going unheard and ignored. There was outrage in the West. Western couples flooded in to adopt unwanted children and charities poured in to help. Among those parents, were Bryan and Jonquil. It was supposed to be just a three-week trip in order for Jonquil to bring their seventh child to their Golden Bay home in 1991. Jonquil was haunted by the memory of two-year-old Bogdan whom she seen on that first trip but left in Romania. She was back to bring him home with her. 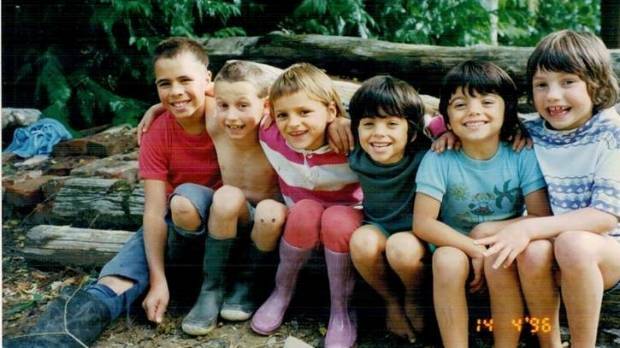 Jonquil left Bryan in Golden Bay in care of the kiwifruit orchard and the tribe of children. But upon arrival, Jonquil was told the paperwork to adopt Bogdan had become invalid and she could not adopt him. She spent the afternoon cuddling little Bogdan goodbye. Determined not to return home empty-handed, it wasn’t long before Jonquil met Cristina-Laura. The five-month-old baby girl had been abandoned in an orphanage by a teenage mother who did not have the resources to care for her. But during the process of doing the paperwork, the local court threw out Cristina’s adoption application after badly translated papers stated Jonquil as being “infantile” instead of “infertile”. Jonquil was then forced to endure three expensive and lengthy court hearings and a landmark decision in the Romanian Supreme Court involving some of the country’s most prominent lawyers in order to bring Cristina home. She was robbed at knife point by a group of men during her stay and had her bag slashed open. The prosecutor tried to convince the judge that the Grahams were only interested in adopting slave labour for their kiwifruit orchard and that the children would be raised for organ transplants or sold as slaves. Jonquil appealed the case in the Supreme Court and won. She finally left Romania four months after she arrived with baby Cristina in her arms. 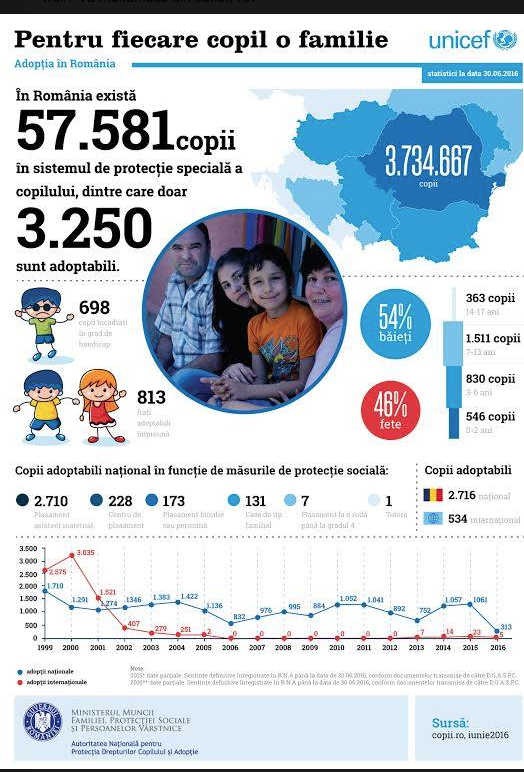 At the time of her leaving, riots were breaking out in Romania after the country’s central ruling committee decided to stop all further overseas adoptions. Western couples who were waiting for their adoption papers to be approved panicked, creating dramatic and angry scenes. Just in the nick of time Jonquil and Cristina slipped out of Romania and into a new life. Among the adopted brothers and sisters that Cristina would join in Golden Bay were two Maori boys, one Rarotongan boy and a pair of Romanian twins. A second pair of twins from Russia, a girl and boy, would join the family a few years later. Their historic house sits at the base of Takaka Hill and is much quieter than it once was. All but one of their nine children have left home, although grandchildren keep spilling through the doors now. Jonquil says the most remarkable part of the trip back to Romania to meet Cristina’s family was finding out that their Romanian twins, Natasha and Johanna’s birth family, lived just streets away from Cristina’s birth family. “I was absolutely gobsmacked,” she says. Jonquil and Bryan had bought the tiny malnourished twins back from Romania when they were 10-months-old. But in 2009, tragedy struck the devoted parents. One of the twins, 19-year-old Natasha, was hit by a car in Nelson and died of her head injuries months later. The interpreter had to tell her that one of the mother’s daughters had died. They returned a few days later with albums of the twins’ life to show the birth mother. The last page of the album showed a photo of Natasha’s headstone. Jonquil says that although most of the couple’s adopted children have left home they still seem to keep adopting people. The Grahams say they are still in daily contact with her. Jonquil says everyone is special and often they can’t help their circumstances, like those who are not loved properly. Cristina lives in Christchurch now, a solo-mother with a daughter of her own. She has stayed in daily contact with her birth sisters by Facebook, but has struggled to keep the communication up with her birth mother. Jonquil says a lifetime of questions for her have been answered for Cristina. “It was a real eye-opener for Cristina. She is more settled now somehow, more at home in herself,” she says. Jonquil Graham is the author of the book, How Many Planes to Get Me? A story of adopting nine children and fostering 20 more.